Do you comply with the new UK EMF Regulations? Electromagnetic radiation can be found everywhere around us, both naturally and man-made. Man-made radiation has the potential to cause harm and to prevent injury against this, the HSE introduced UK EMF Regulations this year in line with the EMF Directive 2013/35/EU. The Electromagnetic Fields at Work Regulations 2016 are now in force, and you can start to ensure that your organisation is compliant by downloading our free guide. 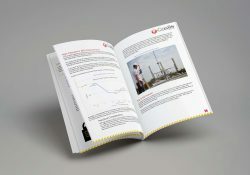 This free guide will take you through the basics of understanding EMF’s, and what the UK EMF Regulations mean for you and your business. Anything that uses electricity will product both electric and magnetic fields. Levels found near many common household appliances can actually be surprisingly high and will compare to many workplace sources. EMF fields are greatest closes to the surface of the device, and these levels drop rapidly with distance, falling away substantially over the first meter from the appliance. How these EMF’s affect the human body depends on the frequency, intensity and type of wave, which is the regulations require measurements to be made by frequency as well as just the level. 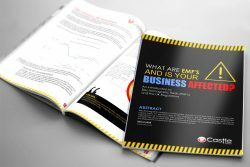 In this guide, you will find an overview of the science behind electromagnetic fields (EMFs) as well as information on the Control of Electromagnetic Fields at Work Regulations 2016 , the health effects, how and what to measure and what to do about the results.